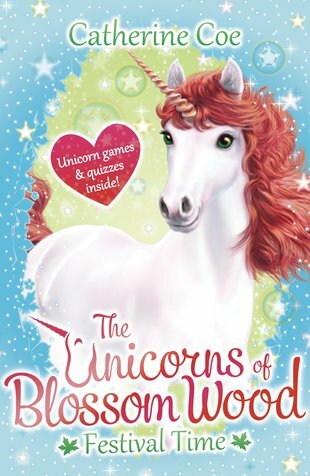 It’s not Christmas without a unicorn – and this book has three of them. Bliss! A glorious tale of unicorns, festivals, magic… and sharing it all with the people you love! It’s time for a magical festival in Echo Mountains. But – uh-oh! Where’s Bunny? All the animals of Blossom Wood are hunting high and low. Nobody feels like celebrating without her. Where can Bunny be? Can the animals find her in time – with a bit of sparkly unicorn magic? Meet three lucky girls who can turn into unicorns!